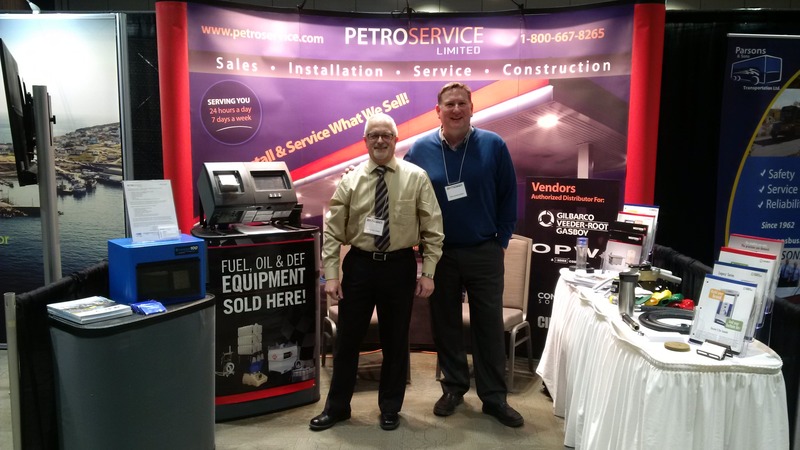 On February 9th, 2017, Petroservice exhibited at the St. John’s, NL Board of Trade, Business Development Trade Show. Petroservice recently became a member of the St. John’s Board of Trade and used the opportunity to introduce itself to other Board of Trade business members and the public. We extended invitations to past, present and future clients to drop by and say hi and enjoyed visits from Wilson’s/Esso and North Atlantic among others. We were represented by Heath O’Neill, Randy LaVigne, Mike Brideau and Mario Ruel from Gilbarco.